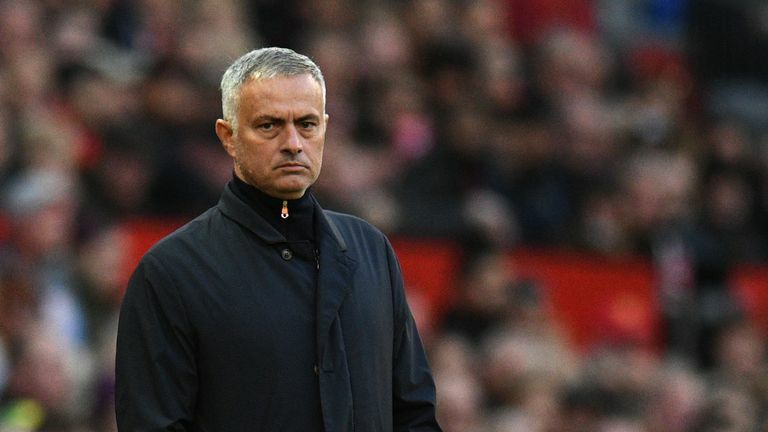 Wayne Rooney says Jose Mourinho has become an "easy target" at Manchester United and believes the players must take responsibility for the club's slow start to the season. United moved up to the eighth in the Premier League with a 3-2 win over Newcastle on Saturday but remain seven points adrift of league leaders Manchester City. "It's tough [at United], it has been a tough situation," Rooney told The Telegraph, after scoring both goals for DC United in a 2-1 win over Chicago Fire on Sunday. "The players, the manager, it has been a tough start to the season. "I know Jose is getting a load of stick but I said a few weeks ago, the players have to stand up. "They have to be counted and they have to be better. The manager can do so much but then it is down to the players on the pitch to produce and probably collectively. "It [the poor run of form] is a bit of everything coming together but Jose is an easy target. Some of the players have to be better." Rooney believes the current situation at Old Trafford is similar to Louis van Gaal's two-year spell with the club. "I said the same thing when Louis van Gaal was there," said Rooney. "He took a lot of stick but behind closed doors I said to the players, 'We have to be doing better'. "Personally I think he [Van Gaal] set us up brilliantly the way but we didn't produce on the pitch so I am sure that is getting said behind the scenes."